Homeowners often underestimate the importance of quality lighting on the outside of their house. An excellent outdoor lighting scheme makes your house look more attractive from the street and can increase its value. But it also increases safety. Well-lit walkways, outside stairs, patios, balconies, and areas around pools will present fewer hazards, and burglars will avoid houses with lights that make it hard for them to vanish in the shadows. However, outdoor lighting can run up electricity bills, so people sometimes shy away from undergoing a large retrofit or redesign of the lights around the outside of their homes. It doesn’t have to be this way: you can save money with the right retrofit or installation of outdoor lighting in Hartford, CT. Call our lighting specialists at Electrical Connection, Inc. to find out how we can assist with bringing you quality outdoor lighting that won’t cause severe damage to your electric bills. The best path toward reducing your energy usage through lighting is to replace incandescent lights with LED (light emitting diode) lights. These lights can have the same illumination power as their competitors, but they consume far less power. Approximately 80% of the electrical energy sent to an incandescent light changes into heat, leaving only 20% for actual illumination. However, it is the reverse with LED lights, which convert 80% of the available electricity into illumination, with only 20% of it going to waste. Think of what an impact this can have on your electrical costs. LED lights will save you money in another way: endurance. Despite a larger upfront cost compared to incandescent lighting, LED lights have exceptional lifespans. A standard LED bulb can last 100,000 hours, which means that if you left the light on constantly, it would continue to burn for 11 years. And because LED lights are more durable, you will have fewer needs to replace lights that break due to weather conditions. You don’t need to have the most powerful lighting possible to properly illuminate a house for safety, and overly bright lights can distract from a home’s appearance. Lighting installers can use less powerful down-shielded lighting to create an overall even spread of illumination that will cost much less to run. Whether you want full installation or only a retrofit for your outdoor lighting in Hartford, CT to save energy, call up electrical specialists with the right experience to do the job. 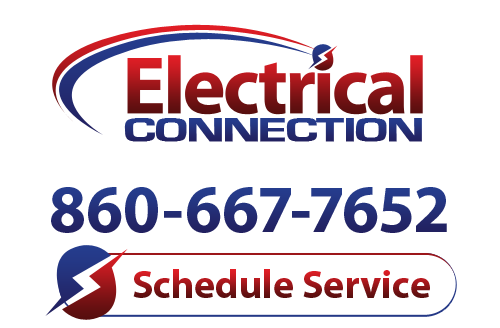 Electrical Connection, Inc. believes that no job is 100% complete unless the customer is 100% satisfied. Trust our skilled work to light up your house so it won’t darken your bank account. We also offer a variety of electrical services in Hartford, CT. Just give us a call today to speak with one of our qualified technicians about all of your lighting needs.